A moment with Janoah “anygoodjokes” Bailin of SpinS! it was a home water birth. I was drowning, actually, then it just slipped out in a lake in Denmark ME. I was very relieved. (sh)it spins out of control so spin with (sh)it! a wholesome wholehearted wholebodied wholelottalaughter circus show and my socks have absolutely no holes. i get (almost) naked and (entirely) sweaty and juggle six balls (really)! i don’t care so much about famous people i want YOU! pretty face, because i’ve seen the slightest hint of amanda performing and want to see much more! 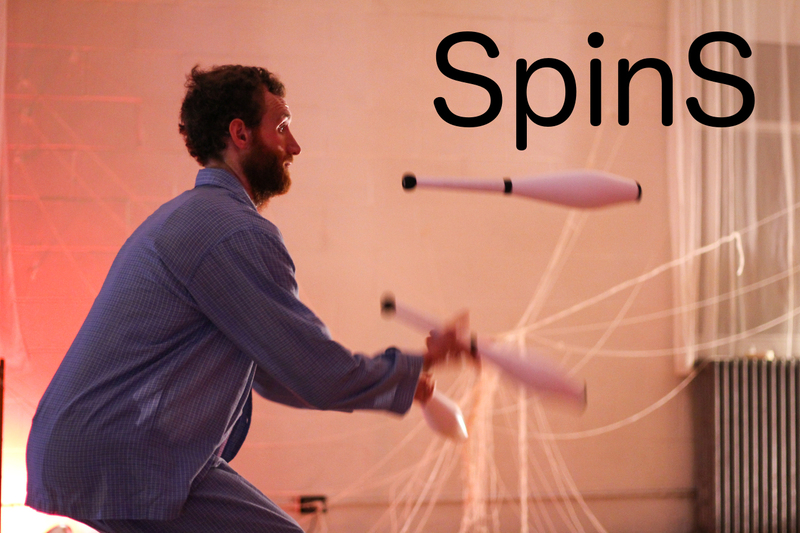 SEE SPINS AT PORTFRINGE 2018!